Nestled at the foot of Mosquito Creek park, this generous one bedroom garden suite offers privacy and ample living space in one of North Vancouver's most convenient locations. 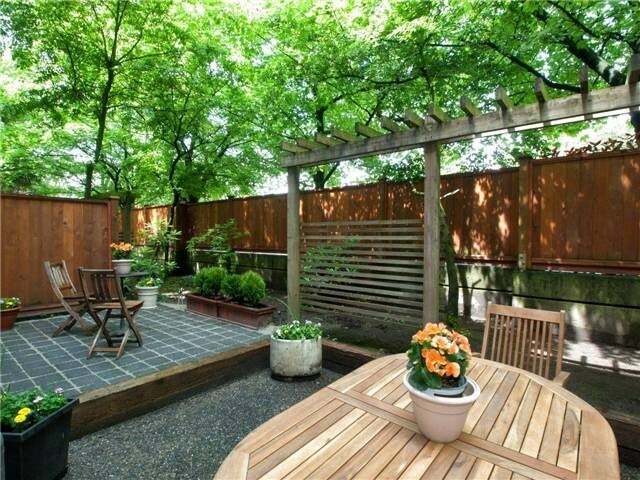 Step out to your fenced and spacious patio ~ perfect for petlovers and all of your summer entertaining BBQ's with friends! The large master bedroom leads to double walk through closets and into a cheater-ensuite bath, complete with new tile floors and shower surround. Open kitchen looks into dining room and living room with a cosy gas fireplace. Insuite laundry, fresh paint, sep. storage locker complete this wonderful suite in a well kept building - pets and rentals allowed!